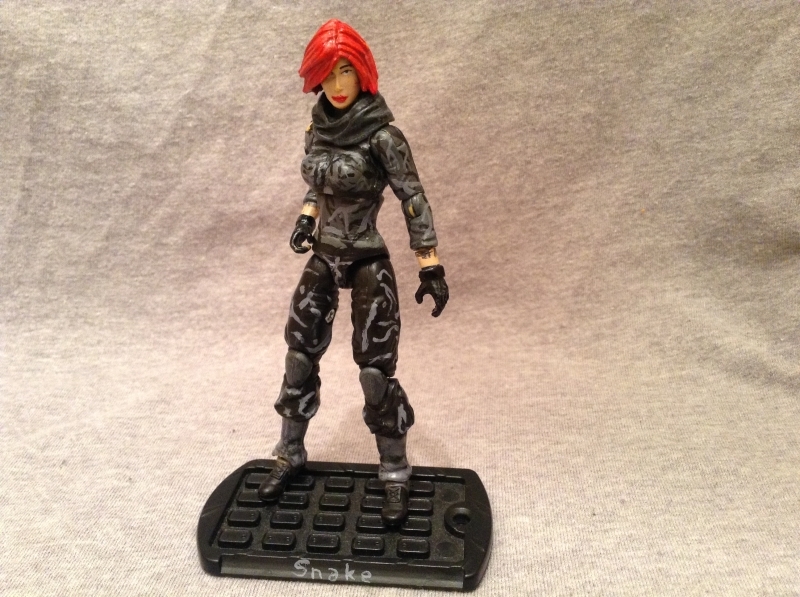 She is an undercover spy for the Gijoe team, she is the daughter of the ninja master Snake eyes and Scarlett. 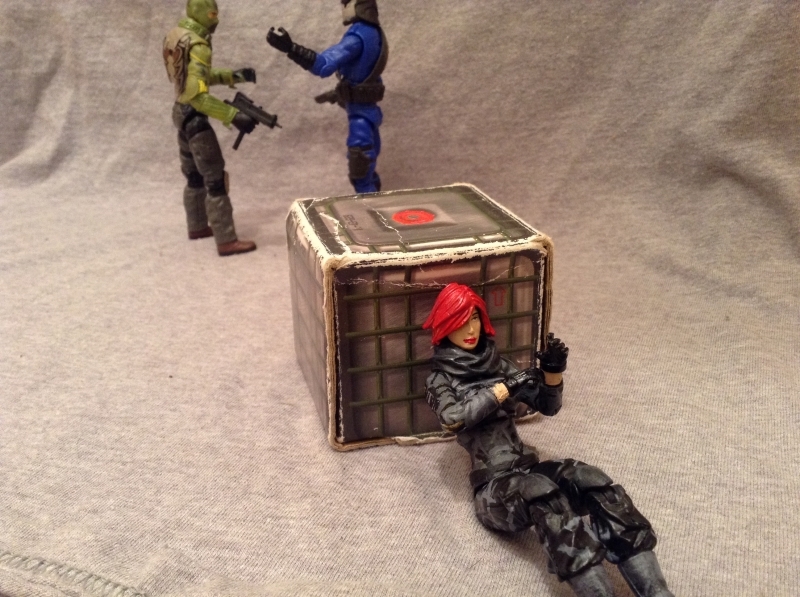 The Joe team assigns her to missions to gather information on Cobra Commanders next plot. 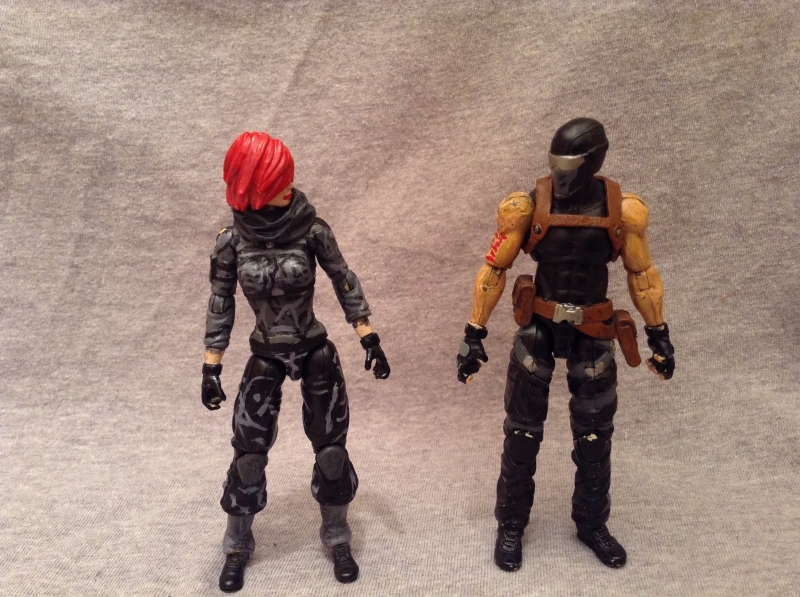 Months after her brother was accepted on to the Gijoe team, they came to her asking her if she wanted to join. 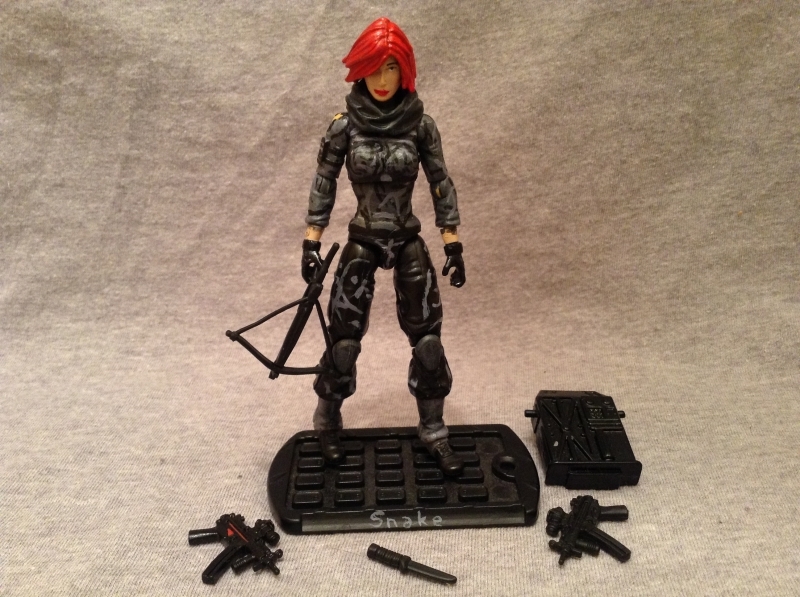 After two years of training and practicing she was assigned to her first mission, her objectives were to find and kill Scrap iron, it was a test to see if she was good at tracking and killing a target. Every thing was going perfect until she messed up trying to kill him and she ended up in the prison of the Cobra terror dome. 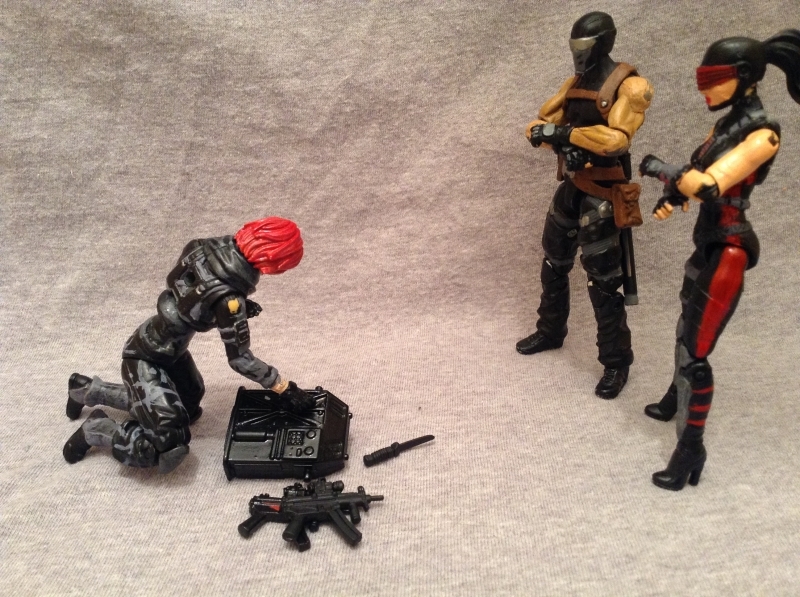 Weeks after the extraction team rescued her, Hawk gave her some tests to see what she was good at. After she finished the tests they came to the conclusion that she was good at spying, after secsessful missions to gather information, Hawk finaly trusted her to train with the Blind master and Jinx. Now when ever the Joe team needs info, she's the one they come to. 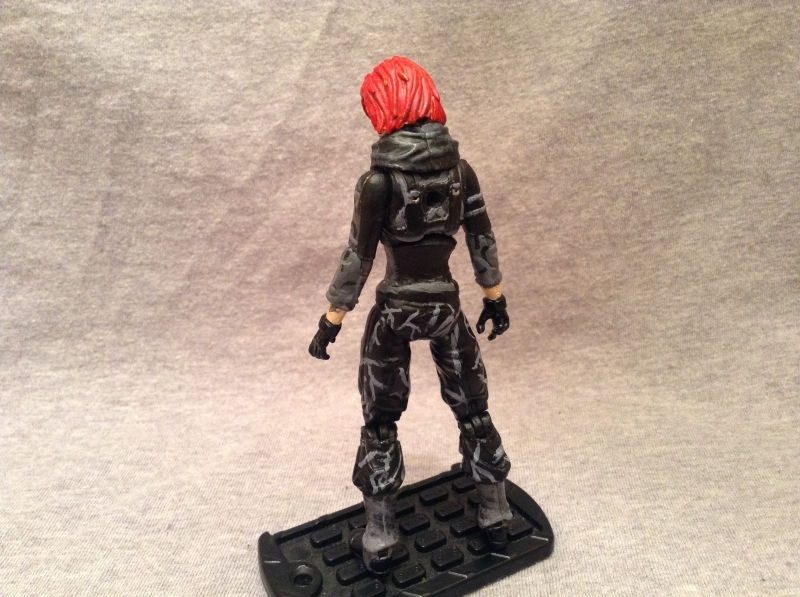 From Hawks files: She's good at spying and training for combat, but she's not the best at combat, hopefully she will be when she gets older, she's only 16.